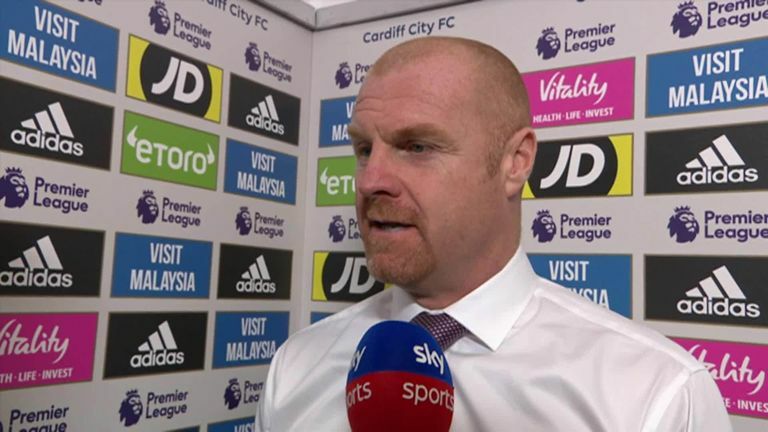 Sean Dyche was delighted by Burnley's second-half response as they secured back-to-back wins with a 2-1 victory at Cardiff on Sunday. 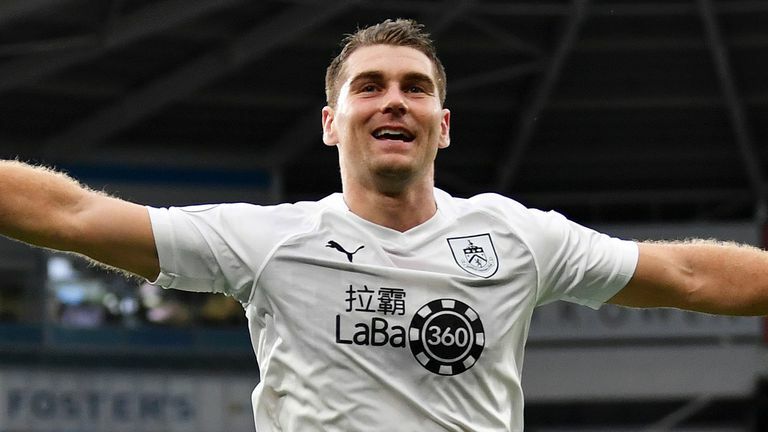 Second-half efforts from Johann Berg Gudmundsson and Wales international Sam Vokes secured consecutive top-flight wins for the Clarets for the first time since April, lifting them up to 12th in the table after a difficult start to the season. Burnley were expected to carry on from where they had left off after thrashing Bournemouth 4-0 to register their first win last week, but produced a lethargic first-half display at the Cardiff City Stadium. "We didn't look anywhere near how we played last weekend and I reminded the players of that at half-time," Dyche told Sky Sports. "But that comes with mentality, you have to build mentality. This is a really tough division, we've had our fair share of knocks at the beginning of this season, particularly with the overflow of games. "So to come out of that with the mentality we've shown with a very good performance last weekend and a fighting performance today was good. "We know that's the mix we have had to find in the Premier League and we are going to continue to find that." Cardiff, still seeking their first win back in the Premier League, made things difficult for Burnley in the first half. Dyche added: "It was very difficult coming here, we knew it would be - they put the ball in the box from literally everywhere. "They knocked us completely out of our rhythm in the first half - we couldn't get a grip of the ball or didn't deal with it well enough. 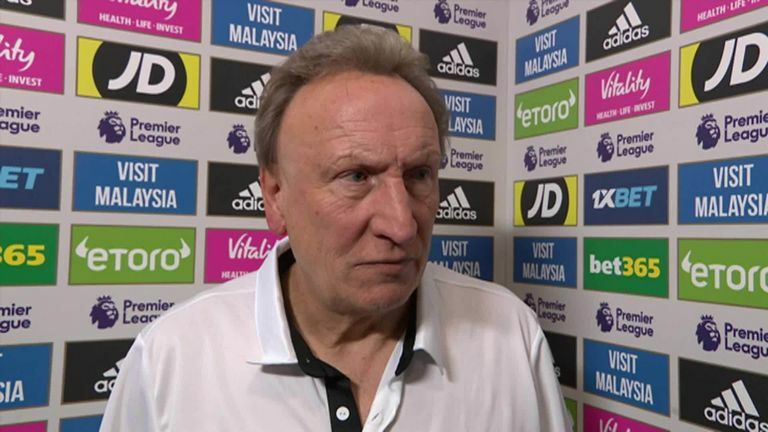 "We were looking for the balance and, credit to Cardiff, we couldn't in the first half. They were effective and we couldn't get a foothold in the game. "As the game calmed in the second half - I had a word at half-time - I was pleased with the reaction. We scored two good goals for different reasons." Dyche was adamant his side should have been awarded a penalty when match-winner Vokes was brought down in the area early in the second half by Sean Morrison. Referee Martin Atkinson's decision not to point to the spot extends Burnley's wait for a Premier League penalty, with their last coming back in April 2017. "It looked like a penalty to me," the Burnley boss said. "I think he clips him and if he clips him it's a penalty. "But, as we know, we haven't had a penalty in 16 months now in the Premier League, so maybe one day."